For most fashion brands, sustainability efforts usually revolve around sorting out their supply chains – doing little about the mass of garments that end up in landfills. 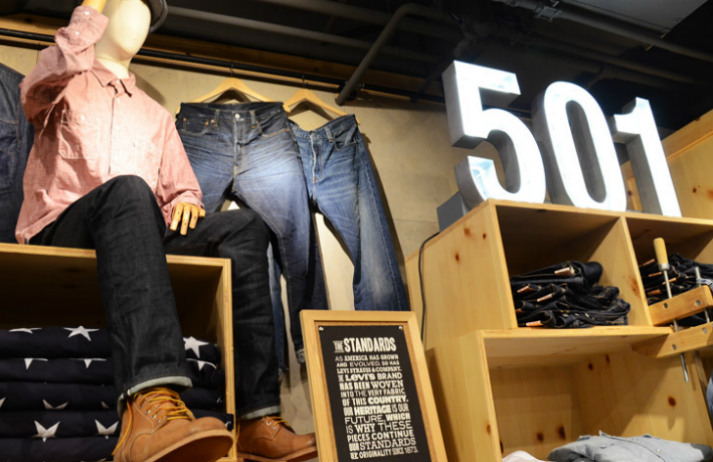 But now, thanks to an ambitious new program from denim giant Levi’s, recycling your clothes just became a lot simpler. Americans buy five times as many clothes as they did in 1980, with 10.5 million tons shipped off to landfills annually. While brands like Patagonia are making coats that last a lifetime, Twice is helping people monetise decluttering. But can second-hand shopping match the buzz of fast fashion? We no longer crave the new. Half of online shoppers in the UK visit eBay each month and the site's fashion category attracts 4.5 million people. Luxury goods re-seller Vestiaire Collective has discovered that British women are leading the way for buying and selling pre-loved clothes online. Denim comes in all shapes and sizes; from skinny to slim fit to bootcut. We wear it while gardening, to work or to an evening soirée. But in 2014, denim sales in the US dropped by 8%, as activewear grew by the same amount. How can denim brands stay relevant in the age of the yoga pant?